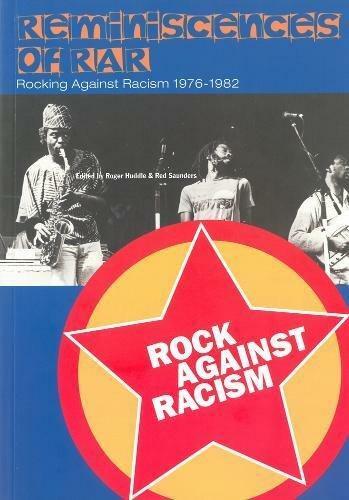 Rock Against Racism (RAR) was formed 40 years ago. A new book, Reminiscences of RAR, gives voice to some of those involved. Sadie Robinson looks at some of those voices. In late 1970s Britain fascists were organising—there was widespread racism and a spate of racist murders. But a mass movement against the Nazis broke their rise. The Anti Nazi League (ANL) confronted the fascist National Front and other Nazis on the streets. And Rock Against Racism brought together hundreds of thousands of people in a show of defiance and unity. The movement developed at a frightening time. Paul Furness from Leeds said, “When I saw the letter it was like an overdue breath of fresh air—and I knew that something was going to happen. RAR gigs brought together black and white musicians at a time when this was rare. They used local, lesser known bands, and mixed punk with reggae artists. RAR tapped into a mood across Britain as people rushed to get involved. And the message was that anyone could set up a RAR group and start organising. Kate Webb helped reply to the letters “flooding in” to RAR. “It was evident that there was a nation of kids out there, bored out of their minds, and horrified by the National Front,” she said. Red Saunders was one of the signatories to the NME letter. “We got letters from all over,” he said. People described the joy of finding something they could get involved with as school students. “When Rock Against Racism was set up we all jumped aboard,” said London activist Polly Wilson. ANL worker Roger Green described how “within weeks groups took on a life of their own”. School Kids Against the Nazis (Skan) produced six issues of Skan fanzine in just nine months. One letter published from Sheffield read, “Sheffield Skan is now three months old. We cover 20 schools and colleges in the Sheffield and Rotherham area. We have distributed over 5,000 leaflets in schools and sold hundreds of badges. Another letter came from north London. “We have set up a Skan group in our school and have collected money to set up our own fanzine,” it read. A huge anti-Nazi march to Victoria Park, east London, in 1978 saw 80,000 people demonstrate against the NF before reaching a RAR gig headlined by The Clash. The scale of the movement gave black and Asian people confidence. Socialist activist Balwinder Rana described how the ANL “gave tremendous courage and hope to Asian and black people”. “Our uncle had a shop in Lewisham. The day the NF marched through that part of London he and his wife were beaten up. I was enraged but helpless. I began reading about RAR and how they were planning a march from Trafalgar Square to Victoria Park. I told my parents I wanted to go on the march. No way, they said. I went to Victoria Park. What I saw were hundreds and hundreds of people marching side by side. These were white, English people marching to help me and my family find our place in our adopted homeland. When I got home I told my parents where I had been. My father was actually quite proud of me. I owe a lot to Rock Against Racism. “One morning in the 70s we awoke to find ‘NF’ painted in two-foot high letters on our garage door. My dad silently painted it over but it left an ugly stain that served as a reminder that someone, somewhere, hated us enough to mark us out in the dead of night. When I heard that The Clash were headlining the ANL/RAR carnival in Victoria Park I was determined to be there. I can still picture us marching past the old fascist haunt, the Bladebone pub, where we shouted at boozy demoralised Nazis outside. I wasn’t used to seeing Nazis stripped of their menace–it put a spring in my step. Towards the end of the day helpers started collecting for the ANL/RAR. I looked beside, around and behind me at the sea of mostly white faces, and something clicked. I realised for the first time that there were lots of white people who hated racism and were prepared to fight it. Maybe Powell and the NF weren’t an inevitable part of life and could be overcome?